Popular graphic design studio Team Manila expands their territory as they open their newest branch yesterday, July 23, 2009 at TriNoma, Quezon City. Team Manila’s graphic interpretations of national icons, witty statements, and endearing illustrations of odds and ends of everyday life in Manila have garnered them much love. From shirts to totes, pouches and pins, Team Manila goods stand as stylish reminders of the unique qualities of mundane Pinoy stuff. The popularity of this lifestyle has made it impossible for Team Manila to expand. From distributing lomo cameras at Lomography Embassy Manila, to their accessory line called 365/TM, and their other clothing lines Daily Grind, RE/PUBLIC, Tiny Manila, Island Souvenirs, and Graphic Design/Lifestyle. 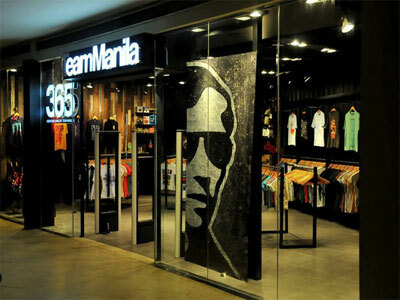 Team Manila’s newest store is at the third floor of TriNoma beside Crossings Department Store.